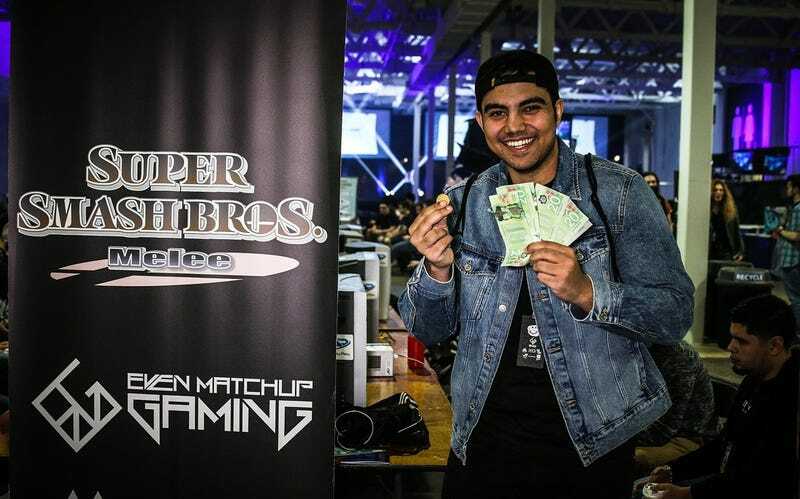 Ontario Super Smash Bros. Melee player Vikram “Nightmare” Singh has been banned from attending a number of Canadian tournaments after a friend described Singh’s alleged past sexual relationship with an underage girl and a supposed criminal charge that followed. The ban comes on the heels of several tournament organizers’ adoption of a Smash code of conduct, which provides a process by which to investigate claims of misconduct by community members. The Harassment Task Force first addressed the notion of player bans in a SmashBoards posting this past July 12. While updating the community on the group’s progress, project manager Josh “Roboticphish” Kassel mentioned that some tournament organizers were hesitant to sign off on any official code of conduct before establishing the legality of banning someone from attending their competitions. The law firm’s letter concluded by stating that they would take “necessary steps” to combat “any further false and defamatory postings” about their client. Singh continued to attend Super Smash Bros. tournaments after this, most notably DreamHack Montreal in September. A weeks-old episode of the Melee Stats podcast and a recent report from GameTyrant made reference to the fact that Singh attended and competed at DreamHack, but did not appear on the event’s video stream. During Singh’s matches, the stream feed would cut out, leading to a conspicuous gap in the broadcast. Brackets show that Singh did in fact attend Dreamhack Montreal, participating under the truncated handle “N” and placing 13th in Melee singles (the bracket entry for “N” lists Singh’s Twitter and Twitch handle). He also took part in a losers finals match during the doubles tournament that would have fit into the aforementioned gap, but Kotaku has not been able to independently confirm the reason for the gap in the stream. Truong provided further details about Singh’s situation on YouTube, saying that, in 2015, Singh had been charged with sexual interference, a crime that the government of Canada describes as follows: “Every person who, for a sexual purpose, touches, directly or indirectly, with a part of the body or with an object, any part of the body of a person under the age of 16 years.” Truong also said the victim in question accused Singh later of grooming and sexually assaulting her. Later that same day, Even Matchup Gaming announced that they would be adopting the Harassment Task Force’s code of conduct, and as such banned Singh from tournaments they run or are affiliated with, which include Get On My Level, one of Canada’s biggest Smash gatherings, and Canada Cup, a traditional fighting game event that also hosts Smash competition. “The creation of community-approved guidelines to handling issues of this nature has provided us with the basis and led us to the conclusion that action must be taken now, despite the legal gray areas of the situation explained in his lawyer’s statement,” Even Matchup Gaming’s statement reads, alluding to claims by the Harassment Task Force that someone had previously mentioned pursuing legal action against tournament organizers in the event of a ban. The lack of an overarching esports governing body means that the creation of codes of conduct often falls to teams, developers, and tournament organizers. Due to Even Matchup Gaming adopting the Harassment Task Force’s code of conduct—which includes language allowing events to ban players found guilty of sexual assault, offenses involving minors, and criminal behavior—Singh would likely be subject to these guidelines upon registering for their events. Numerous tournaments have adopted the Harassment Task Force’s code of conduct, including but not limited to major Smash events like The Big House, Genesis, and Shine. Josh Kassel would not speak to Kotaku about the Singh situation specifically, but he did state that community support for the committee’s work has been “overwhelmingly positive,” and that they encourage victims, witnesses, and tournament organizers to reach out to them directly for guidance in the future. Vikram “Nightmare” Singh, his law firm, Even Matchup Gaming, and DreamHack were all contacted without response over the course of researching this story. Ian Walker loves fighting games and writing about them. You can find him on Twitter at @iantothemax.